Everyone wants to live surrounded by beauty. Beauty soothes the soul, and lifts the spirit. It inspires us and keeps us healthy. We all want beauty. Can you have beauty in your website? Sure you can, and it's important to have your website be pleasing to the folks you want to help. Unfortunately, this desire to have beauty and to please folks means that you can spend a great deal of time creating a 'unique and beautiful' web design that people actually avoid. How can you spend so much time on beauty, sacrifice so much money with a designer, and still end up with a mess? Do you do Frescoes? No one would complain about the beauty of the Sistine Chapel in Rome. Michelangelo spent four years, from July, 1508 through October, 1512, painting over 5,000 square feet of the Sistine Chapel's ceiling. Unfortunately, Michelangelo was a sculptor, and loved working in marble. Prior to the Sistine Chapel, he had only painted briefly as a student of Domenico Ghirlandaio in Florence. Which means that he got off to a slow start as he learned how to paint frescoes. Luckily for him, Michelangelo was already an accomplished artist. He wasn't exactly doing the Sistine Chapel as a free promotional effort. Pope Julius II commissioned him for those four years, and didn't seem to mind that it took Michelangelo a while to get in a groove. History reports that one of the Pope's motivations was to outdo Pope Alexander VI. So, the whole idea was to create an amazingly glorious ceiling that would stun everyone who saw it. Are you trying to stun your visitors? Remember the purpose of your website: to create a relationship with the right people, connect with their hearts and needs, and to help them take the next step in relationship to what you offer. If you aren't being commissioned to paint the ceiling of your website by a fabulously wealthy Pope, and if you aren't trying to stun your visitors with beauty, I suggest you relax, just a little bit, any attachment you might have to beauty and uniqueness around your website. Your visitor is waiting for dinner. Imagine showing up at a friend's house to eat. You've worked all day, you're hungry and you've been looking forward to dinner. Yet, once you arrive, they keep you waiting for three hours while they pull out family home movies, or their wedding album. It's not that you wouldn't eventually like to see those things. But first, can we have dinner, please? The Two Functions of Your Design Absolutely prepare and present the food with love and beauty. But just remember that your visitor is looking for food, not frescoes. It's been shown that when a visitor comes to a website, design plays two primary functions: (1) to show that the website is solid and professional-looking enough that the business can be trusted, and (2) to make sure that the visitor can find what she needs really easily without having to guess or hunt. As long as you are meeting those two needs, your design is going to work. So, where is it safe to bring forth beauty and inspiration on your site, and where will it keep you stuck to the ceiling for four years? Keys to Website Design * Things to avoid. Avoid putting a pattern behind your text, or using a text color that isn't very dark. In fact, I recommend that you stick with black text on a white background. Millions of novels of great variety, beauty and talent are written, all printed black text on a white background. As a general rule, avoid animation and oversized photos and illustrations- anything that distracts from the food you want your visitor to eat. Avoid unique design layouts. Many websites look the same structurally- and so do human beings. You don't have to look at the back of someone's knees to find their eyes. People know how to connect with each other more easily in part because of structural similarities. 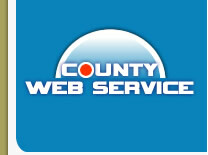 Your visitor has been trained to expect certain conventions in web design, so they can find what they are looking for. Don't play a guessing game with them by creating some outlandishly creative and confusing design. * Things to do. Keep your text front and center. Keep your navigation either across the top, or down one side, with clear labels. Don't use more than two columns- one for the navigation or side text, and one for the main content of the page. Have a clear banner across the top with a simple message about your business. * Things of beauty and inspiration Make your banner beautiful and inspiring, without being cluttered. Use colors you love. Use creative bullets rather than just the usual round variety. Use color highlights around navigation buttons, and in the frame around your page. * Above all, don't agonize over it. If you don't have a website yet, or your website isn't effective and you are upgrading it, bring in what creativity you have, but don't agonize over the beauty aspects. Your visitors are waiting to be fed! Once you start having a lot of visitors coming to your website, and your business is humming, you can take the time and space to bring out the fine china for them. Mark Silver is the author of Unveiling the Heart of Your Business: How money, marketing and sales can deepen your heart, heal the world, and still add to your bottom line. To get three free chapters of the book, just click here.